Not everyone has the money to hire a florist. People usually need a flower delivery service when there is an important occasion or if they simply want to express their love and care to their loved ones. As a result, they prefer to buy the flowers and arrange them their own way. Though arranging flowers may look so easy, doing the task yourself will surely make you realize that it is the other way around. It is not just about putting the flowers together and tying them with a ribbon because you also have to be assured that you can make a beautiful arrangement. 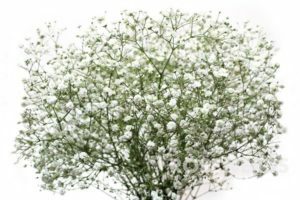 If you don’t know how and where to start in arranging the flowers, then the internet can be the best source of information that could educate you on how you can arrange flowers the proper way. Listed below are some tips that you can consider for flower arrangements. One of the most important things that you should know when arranging flowers is cutting the stems. The length of the stems will depend on the types of flowers that you will use as well as the kind of arrangement you want to do. It is also necessary that you invest in having florist scissors. If you want to keep the flowers away from bacteria that will eventually cause them to die, then you can place the flowers in water mixed with sugar and bleach. You have to know how to match colors if you want the flowers to stand out. You can mix flowers in light colors or contrasting colors. It also a good idea if you will add greens in the arrangement to add spice and also to make it look livelier. Arranging flowers can be very exciting because it can be a way for you to express your imagination. You have to keep on practicing or watch videos online about the different flower arrangements so you can have an idea on how you should arrange the flowers and come up with a beautiful bouquet even without hiring a florist. 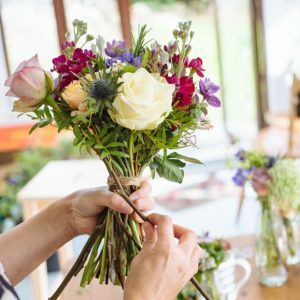 On the other hand, for people who are always busy and just don’t have the time to make a bouquet of flowers, they can go online to look for a trusted florist that could offer them a flower delivery service at a reasonable cost.